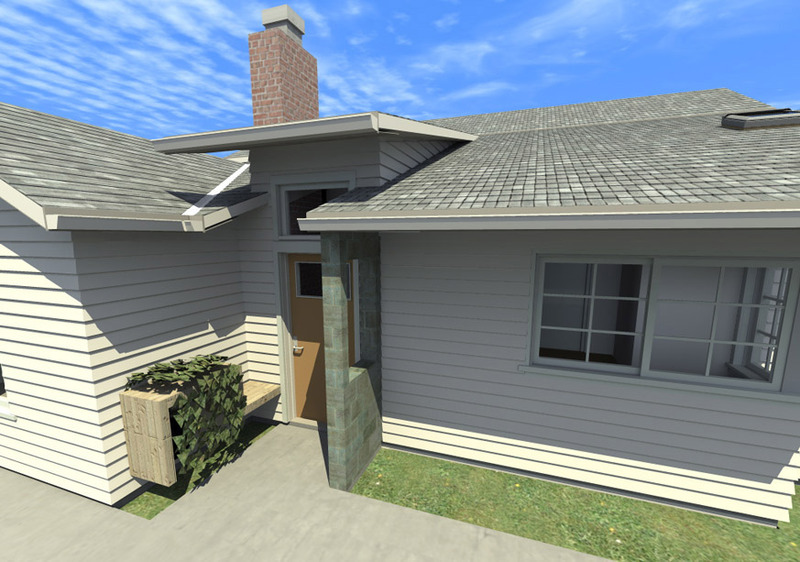 The house entry now has appropriate emphasis at the exterior while being separated from the dining room at the interior. The dining room has windows for natural light, but overhangs for good shading from the summer evening sun. The project is currently under construction and we used this computer generated image so the client would have a very clear idea of the design before construction.